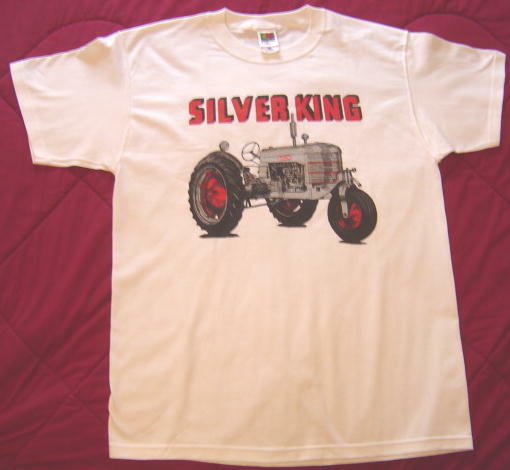 This store page features Silver King decals, Silver King Model, T-shirts, Throws, replica items. Be sure to scroll all the way through this page for all the items we have for sale. The instructions for ordering are at the bottom of the page. Gear shift Knobs available for Plymouth and early Silver King Tractors, 1/2-13 threads. Look at the new Parts Page for pricing. Hercules IXA and IXB Complete or Head Gasket sets and Manifold Gasket sets are available. Continental Head or Full Gasket sets are also available. Look at the new Parts Page for pricing. New Governor parts, bearings for early Silver King and Plymouth Tractor available. Transmission Shift lever boots are available for all Plymouth and Silver King Tractors, go to the parts page. Silver King Tractor 75th anniversary belt buckles now available. 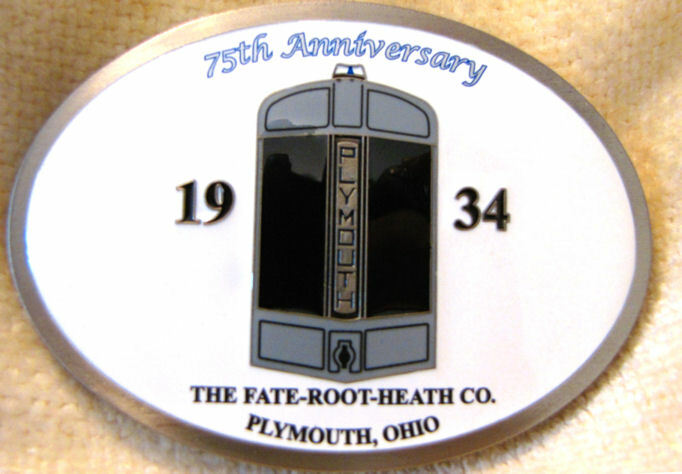 Plymouth Tractor Belt Buckles also available. These were made by SpecCast and are a limited edition. Email to order yours today. 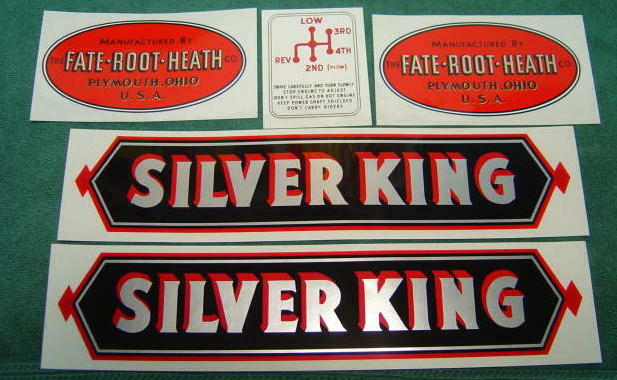 Replacement sets of Silver King decals made of Mylar for all tractors. These decals have the black background and are self-adhesive (peel and apply). If you would like a set with red background, these are also available upon request. Each set includes two hood decals, two transmission decals and one shift pattern decal. Side Decals for the Mountain State Tractor are now available, email for more info. 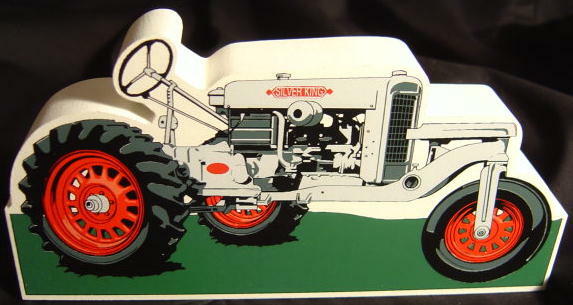 Below: Wooden plaque that is a replica of the 1935 Silver King model R-66 3 Wheel Tractor. It measures approximately 6 inches wide by 3 inches tall at its tallest point. 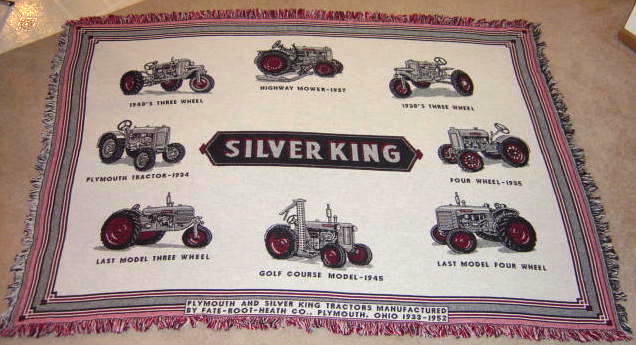 Below is a large cotton throw that features most of the Silver King makes/models manufactured by the Fate-Root-Heath company. Most of the tractors are pictured on the throw. 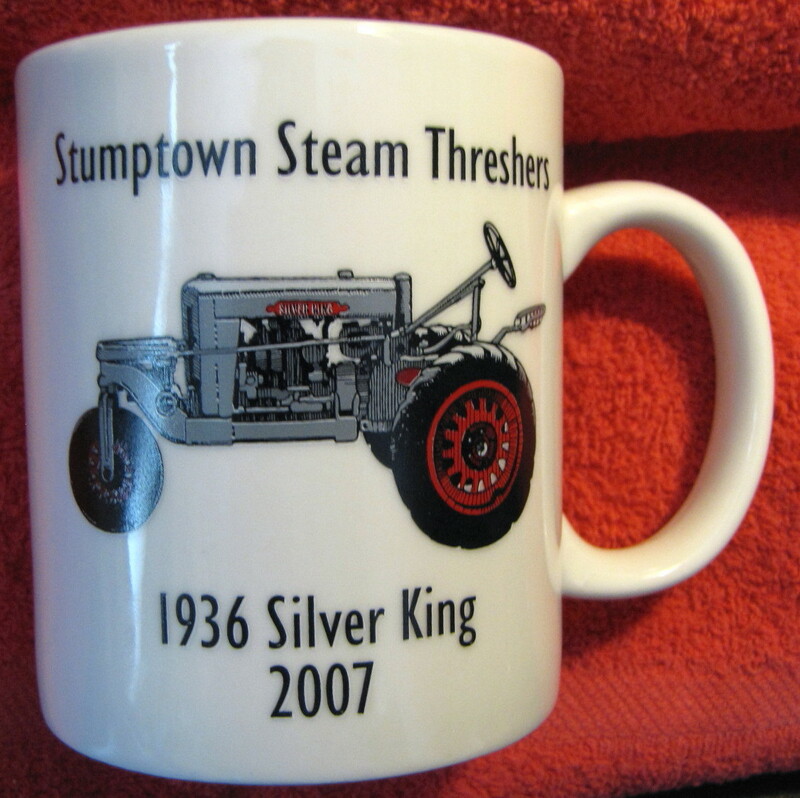 Below: New coffee mugs from the 2007 Stumptown Show. 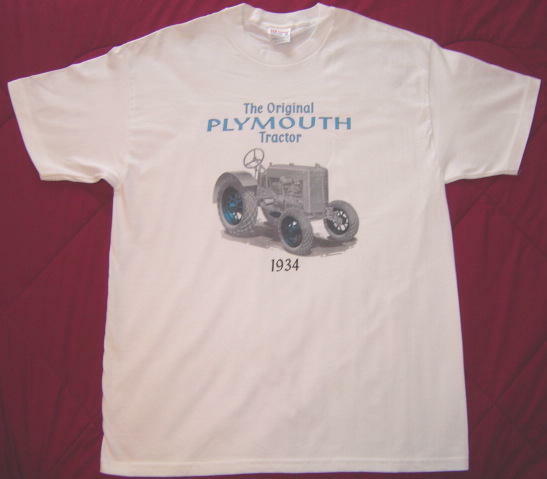 Below is 100% preshrunk cotton t-shirts. These are available in Large and X-Large sizes, other sizes can be ordered upon request. We will be sure to respond to you in a timely manner and give you your total including shipping charges and where to mail your payment. We will ship your item Priority Mail based on your address. Please note that all Ohio residents will have sales tax added to their total based on their shipping address. Please remember that payment is expected for your item within 3 days after your purchase. We are currently accepting money orders or cashiers checks for your payment. Contact us if you would like to Pay with PayPal. Be aware that quantities can change and some items may only be available for a limited time. Please note that part of the money generated from these sales goes towards the cost of keeping this website alive which is currently privately funded. Thank you for your continued support and interest.